A collection of literature anthologies and reference books for Key Stage 3 onwards. 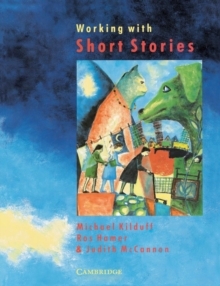 Working with Short Stories arises from a collaborative venture of three practising teachers who were keen to provide English materials which developed: pupil-based discovery; interactive learning through group work; and the oral involvement of pupils. Each practical unit is based around a short story, introducing students to the art of a form which is mirrored in the larger work of the novel. The activities create a balance between competence in language and development of the imagination, written and spoken modes, individual and collaborative tasks, acquistion and application of concepts and skills.